A good few years ago, a friend of mine left her well-paid job in a London PR agency to set up shop on her own. Having spent the best part of 12 years with the agency, she was instrumental in helping it grow by introducing many new clients, including several whom she knew personally through her own network of well-connected friends and family. When she announced that she was leaving, her boss was shocked. Almost immediately, she was relieved of her duties and was warned not to talk to clients about her departure or contact them in the future. All client information in her possession was immediately handed over and off she went to the nearest watering hole for a stiff G&T to digest what had just unfolded. Apparently, this was fairly standard stuff within the cut-throat marketing communications world where every client is a revenue stream. But it was only a matter of weeks later when one client – a family friend – decided to move their account to her new agency, that a barrage of legal correspondence rained down upon her. At one stage, there was even talk about getting her to provide a written apology that would then be published in the company’s internal newsletter. Being a somewhat feisty person with Celtic blood coursing through her veins, she told them where to stick their apology. The company was global ad giant WPP. Admittedly, these legal tactics were run-of-the-mill back in the 1990s and early noughties, when anybody dared stray from the fold to set up a rival business. WPP, of course, had every right to protect its business and it had a duty to shareholders and employees to do so. Given that the marketing communications business is a people-driven one, once a senior employee leaves there is always a fear that they will take some clients with them. How companies deal with it, however, is a different matter. Contrast this stern approach, however, with Martin Sorrell’s controversial departure from WPP back in April. Not only was he allowed to resign following an investigation into a number of alleged misbehaviours, but he was not subject to a non-compete agreement that prohibits him from setting up a business which will, inevitably, compete against the company or one of its 400 subsidiaries at some stage in the future. And to rub salt into what is an already open wound at WPP, he was allowed to hold on to share options that could be worth nearly £20m over the next five years if the company hits targets. It should also be pointed out that this is on top of the £48m package he received in 2017 and the £70m in 2016. In case you missed it, Sorrell has only gone off and set up a new business called S4 Capital, having persuaded a number of institutional investors to pledge £150m to fund an acquisition spree in the marketing communications space. Notwithstanding the allegations made about him in his favourite newspaper, the Financial Times, this week about inappropriate spending and bullying his personal assistants – all of which he has strenuously denied – there is still something troubling about WPP’s handling of the whole sorry episode. Even more so, when one considers that the company has a legal blueprint for dealing with people who leave the group and set up on their own. After all, it has been down this road hundreds of times before. But the salacious sideshow – as depicted by the Financial Times as well as The Wall Street Journal earlier this week – paints a very unflattering picture of Sorrell, who was once feted as the most influential person in the marketing communications universe. While he has always been a divisive figure in the industry, those who have questioned him and his methods in the past are quite possibly putting the finishing touches to his epitaph. But there are also many great, talented and creative people working for WPP and its many subsidiaries, including plenty of them in Ireland, who are feeling angry, saddened and let-down by the whole debacle. Having led the company he founded for more than 30 years, many now feel that they been given the two-finger salute by their former group CEO. Some of them have expressed anger about recent comments he made about looking to set up the so-called agency of the future. If this is what his ultimate game-plan is, then why the hell didn’t he do something about it when he was running WPP? Or did he realise that the writing was on the wall and decided to bail out before it was too late? At the company’s AGM in London earlier this week, none of the many questions about his departure were answered. Instead the company hid behind confidential non-disclosure agreements which it entered into with him before he exited stage left. It is entirely conceivable that if these NDAs were opened up and the full details of what really transpired in the run-up to his departure emerged, even more damage may have been inflicted on both parties. 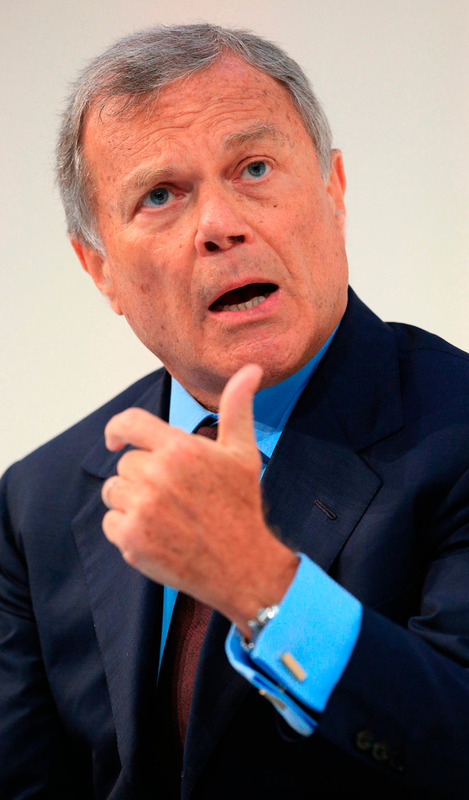 But for now, at least, Sorrell would appear to be off the hook and WPP can return to the important business of finding his replacement now that the AGM is done and dusted. But next week the advertising world will descend on Cannes in the south of France for the Cannes Lions Festival of Creativity. Normally, Sorrell holds court with the global power-brokers of the industry every year. This year, however, it might be a different story. While it remains to be seen whether he will even show up, it’s highly likely that, if he does, he will have fewer hangers-on, sycophants and gurus in his entourage than previous years. Nabila Ahmed and Anousha Sakoui Rupert Murdoch and the 21st Century Fox board will consider on Wednesday how to proceed with Comcast Corp’s $65bn (€56bn) bid for the company’s entertainment assets, people with knowledge of the matter said.